Youngstown State University (YSU), founded in 1908, is an urban research university located in Youngstown, Ohio, United States. As of fall 2010, there were 15,194 students and a student-faculty ratio of 19:1. The fall 2010 enrollment figure is the highest since 1990, when the number of students on campus was 15,454. Records show that 11,803 of the students are undergraduates. Beyond its current student body, YSU claims more than 84,000 alumni. 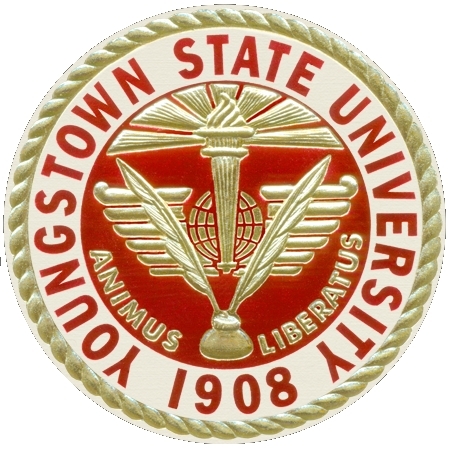 On September 1, 1967, after becoming a public institution, Youngstown University became officially known as Youngstown State University. The following spring, YSU opened a Graduate School and College of Applied Science and Technology. In 1974, the College of Fine and Performing Arts was established.